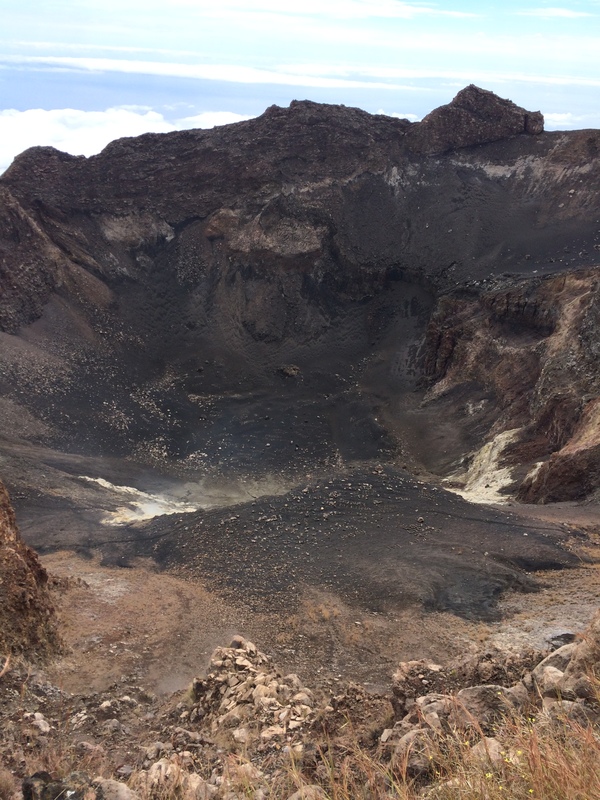 The island was in fact even bigger – what we’re standing on above is just one part that remained after a devastating partial collapse 73,000 years ago saw one side of the volcano slide in an vast avalanche of rocks down into the Atlantic. 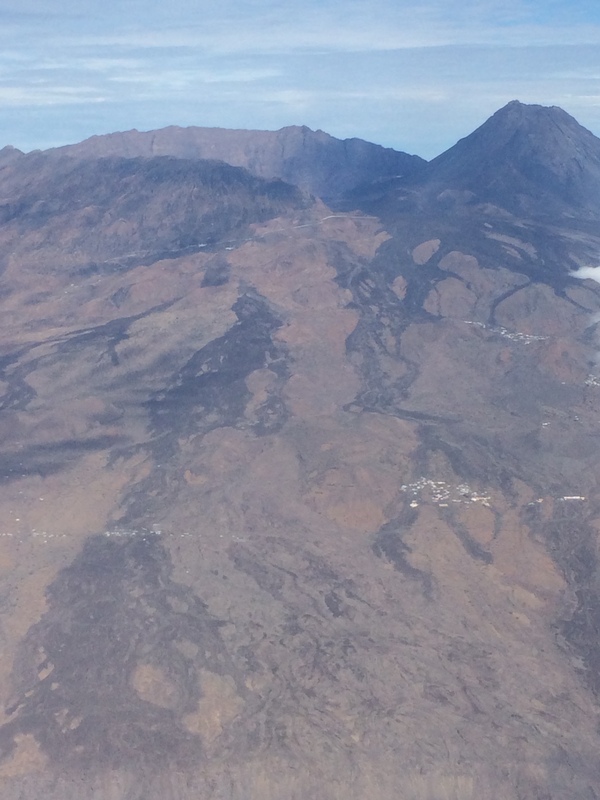 That seismic event caused a megatsunami more than 150m high that dredged boulders from the sea floor and deposited them up into the inland hills of next-door Santiago island, Cape Verde’s biggest and home to the current capital, Praia. The climb from the crater, at 1800m, up a kilometre to the top of the island chain at 2829m, took us about three hours, tramping through ash and scrabbling up sharp rock. From the top, wide Atlantic views ranged out in every direction and Fogo island itself spread out below us, as you can see in the video above. 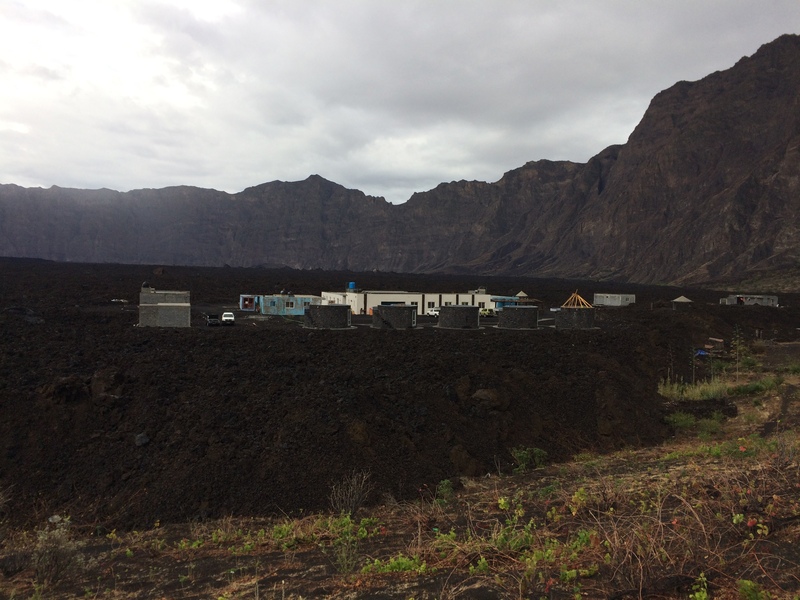 From there we also noticed the new dwellings being built on the lava flows from 2014, as you can see in the photo. Ingeniously, this gives Casa Marisa (pictured above), a costless way of providing hot water and underfloor heating as it simply runs the pipes through the warm rocks the buildings stand on. 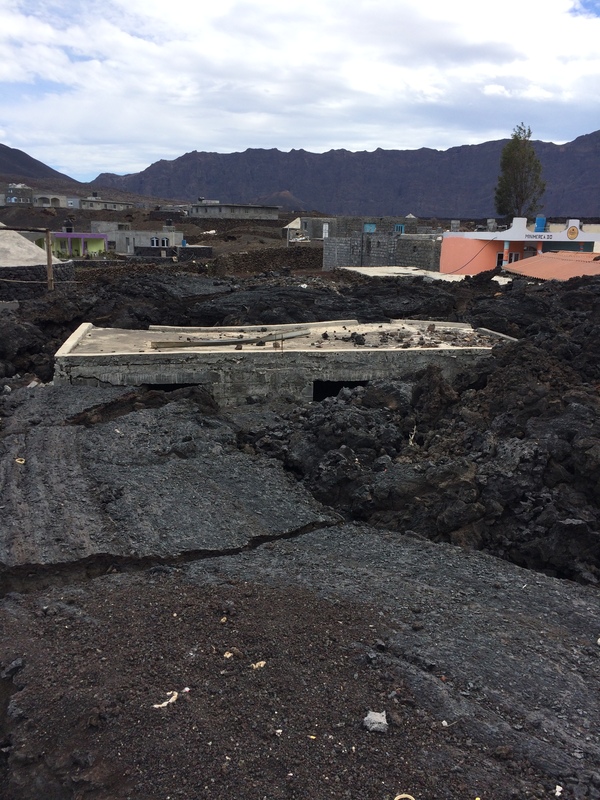 This is what the people of Chã das Caldeiras had to contend with four years ago, as the eruption poured out rivers of lava that careered into the houses in the crater. The building in the photo above would have stood a storey-high before the eruption but now the road runs right past its roof. Some houses were crushed entirely; solidified bubbles of black rock ooze out of the windows of others. There were no deaths in 2014 as small earthquakes before the eruption gave warning of what was to come. 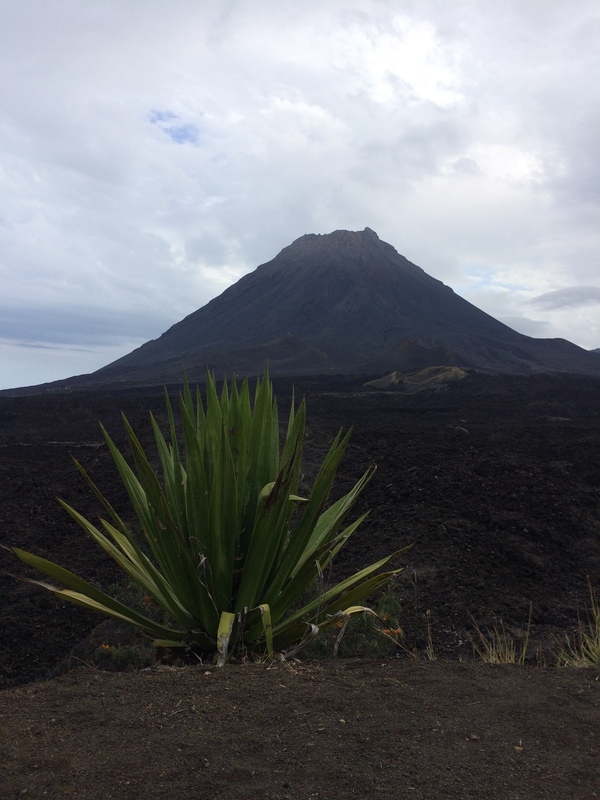 But the villagers have come back, and they are a special people who feel removed from the other Fogo islanders living in the main towns or on the outer slopes of the volcano. They live up in the astounding, dusty beauty of the caldeira, under some of the darkest skies in the world, their roof of a billion stars and the perfect, looming cone of Pico do Fogo.